Fakhre Alam's dream has finally come true. The TV host had planned to become the first Pakistani to circumnavigate the globe solo and he made it happen. Fakhre Alam took to Twitter to share that Mission Parwaaz has been accomplished. 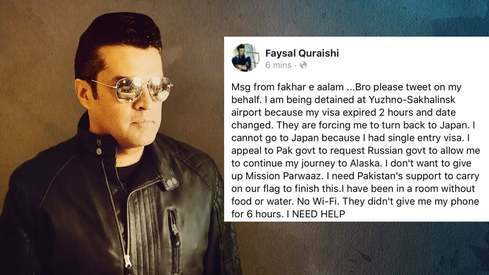 "Pleased to confirm that visa [has been] granted to Fakhre Alam by authorities of Russian Federation today in the morning," Dr Faisal said in his tweet and added that Pakistan's ambassador to Russia had "remained in touch with Fakhar-e-Alam throughout his stay" at Yuzhno-Sakhalinsk Airport. 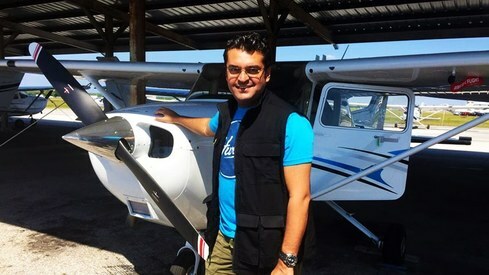 Before leaving for his mission, Fakhre Alam told Images, "I have to do 26000 nautical miles and fly through all the mediums of the planet to achieve circumnavigation. We're aiming for a 28-day schedule. The rules state I have to use the same aircraft and be in control of it at all time. I'll be flying to 30 airports around the world." Fakhr-e-Alam, congratulations, the Pride of Pakistan. Congratulations and well done. Pakistan needs more people like you who can show good side of Pakistan instead of corruption extremism and so on that we hear every day. Job well done. Pakistan is happy! Congrats. It is not easy thing to do. First of all i want to tell everyone that Fakhar e Alam never went to any other country except Russia,that too on an expired visa.Secondly,it is nearly impossible to fly this small turboprop to long distances except with some exceptional expertise that clearly he doesn't hold. If Fakhar e Alam has flown to 28 countries,can he please show the images taken at different airports or with people of different countries? This is all fake and ridiculous!! Well done. Proud moment for Pakistan. Just curious... Was it sponsored or you paid yourself and what was the total cost of this adventure? Where there is a will, there is a way. Congratulations Fakhre Alam. We do have amazing people amongst us. Congratulations on your achievements. Congratulations Fakhre Alam, MashaAllah you made it. Wonderful and inspiring for everyone at home. Congratulations to Fakhre Alam. Keep it up. Bravo, a job well done! The money could have been spent better helping the poor in Pakistan. This was just a fulfillment of a personal expensive hobby. 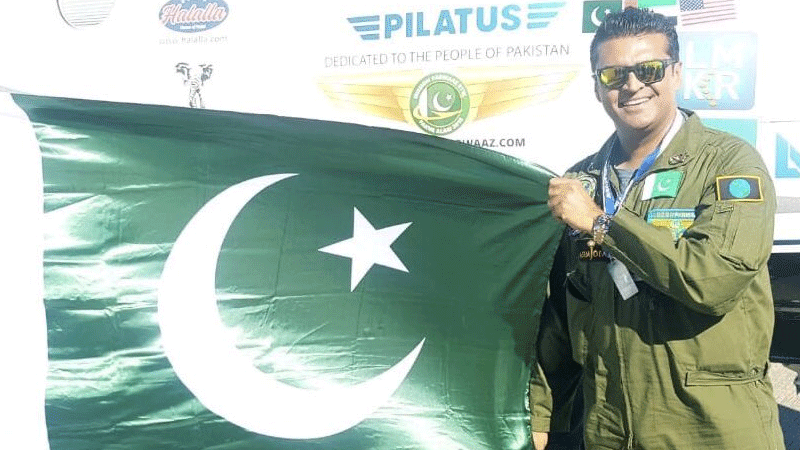 Congratulations to the "first" Pakistani to fly a small airplane around the World. It was a mission inherent with great risks and danger mechanical and weather wise, but he did not waiver and did it for the country. He deserves Sitara-e-Imtiaz medal, when national awards are given out on 23rd March, 2019. We salute him on a daring mission accomplished. @SALMAN he flew in Pilatus, do some research on this fine airplane and it's specifications. You clearly have no knowledge of Aviation!! It would be good to show photographic footage of his landings at various airports to authenticate his solo globe circumnavigation, which he has just claimed! @syed s ahmed You look a very sad person. I bet you have boring job. On behalf of International Heritage Aviation Restoration Organization (iHaro) I want to congratulate Fakhre Alam on successfully completing MissionParwaaz. He took off on the 10th Oct and landed back at same airport "Clearwater Airpark" yesterday 3rd Nov 2018! 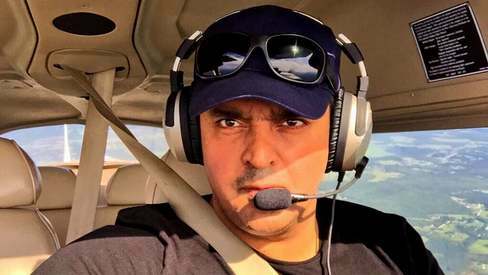 He has become 1st Pakistani Aviator to circumnavigate around the globe in 24 days. It's a HUGE honor for whole Pakistani nation to be highly proud of this great achievement. Fakhre Alam brought Pakistan into the Global Aviation History books! Our team iHaro Canada and Pakistan were constantly and concisely following this journey that took 26,000 miles, flew over 22 countries, many seas and mountains, flew through the weather to make it happen just for Pakistan and Pakistani nation. It is an extraordinary feat that only few could ever accomplish. Aircraft that he chose, Pilatus PC-12NG "N9854N" and the team he selected were the best choice combination. 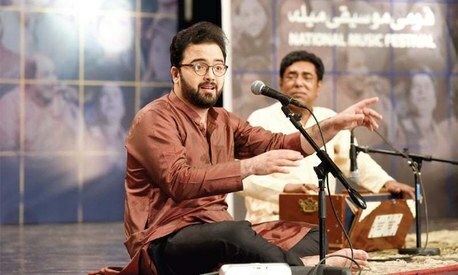 Fakhre Alam should be rewarded with highest honor by Pakistan Government. This guy is such showboat. It's the 21st century, people are going to space and he's recreating adventures from 1920s. 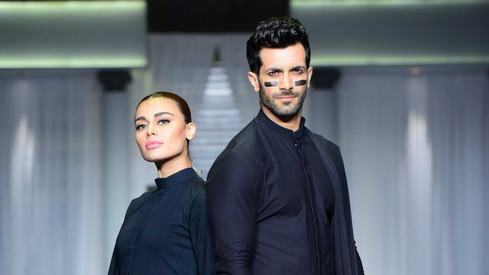 What gain does this bring to Pakistan? There's a water crisis here and hundred's of other issues that require urgent attention. 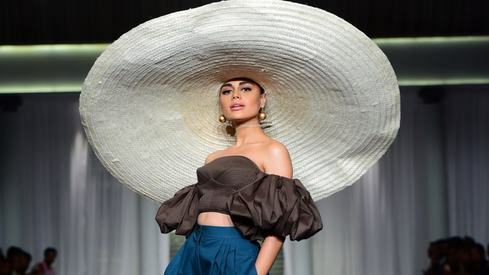 If you truly did this, then you did this for your own little fun, please spare the 'people of Pakistan' from addition to your carbon footprint in further destroying the ozone layer. Wonder when was he in Orlando, Florida where there is a sizable Pakistani American community which would have welcomed him. Totally as waste of money by Fakhr e Alam, could have served to millions dying of hunger and scarcity of water in Thar. A record of no value or accolades! Completely bogus. Masha Allah....Fakhr e Alam.....Fakhr e Pakistan.